← What’s coming up at Breakthrough? In addition to being a husband and father of four, Jonathan May had a family of thousands in the Central Florida area. He was the Artistic Director of the Florida Young Artists Orchestra in Orlando and the Central Florida Youth Orchestra in Leesburg. He also served as Music Director of the Flagler Youth Orchestra in Palm Coast. He was the founder and conductor of the strings program at Trinity Preparatory School in Winter Park, Florida, and gave private strings lessons at Trinity Prep and Park Maitland School. 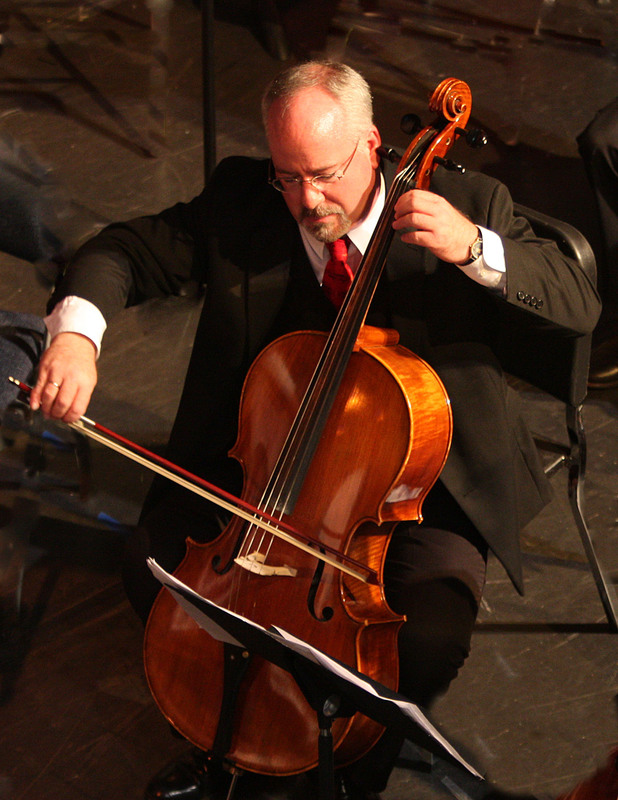 Jonathan performed as a cellist and conductor. His orchestras performed in England, Scotland, Australia, Austria, Italy, and Prague. His awards include Teachers Who Make a Difference and the ASCAP award from the American Symphony Orchestra League. He was committed to spreading his passion and love of music to his students; he was committed to his family and friends; and he was committed to spreading his gift of musical excellence to all who were fortunate to be in his presence. 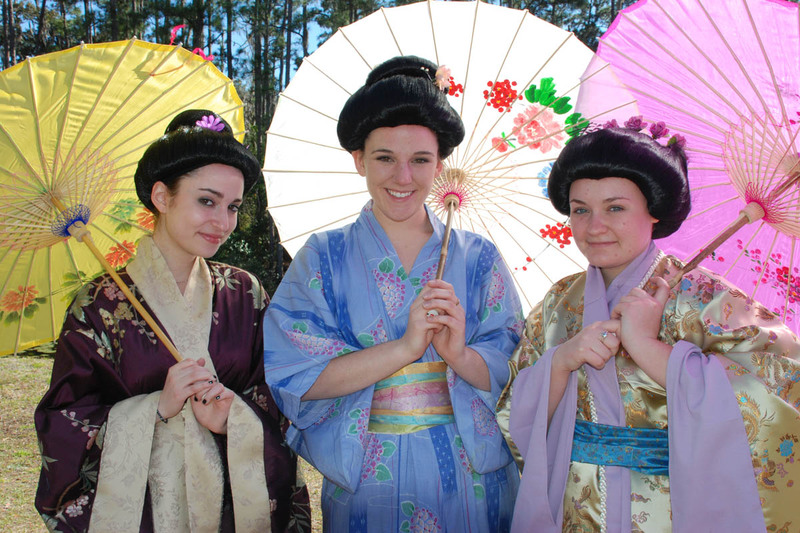 On March 26 and 27 at 7:30 p.m. and March 28 at 2:30, in the Trinity Prep Auditorium, the Trinity Prep Theatre Department will present The Mikado, dedicated to the memory of Jonathan May. Jonathan May and Janine Papin, Director of Fine Arts at TPS, were involved in the first collaboration between the newly formed Trinity Symphony and the theatre department. Please join us for a performance in memory of Jonathan May. Admission is $5 and tickets can be purchased at the door the day of the performance. This entry was posted in High school theater, In memoriam, Orlando theater and tagged janine papin, jonathan may, the mikado, trinity prep. Bookmark the permalink. How very fitting! This will continue our celebration of Jonathan May! Being a frequent substitute teacher in the music department at Trinity during the past ten years and thereby coming into contact with Jonathan, it was impossible not to realize the indelible impact he had upon all who knew him. He spread JOY through his music and his very presence. He will forever be with me, since my middle name is May and I do cherish that name now more than ever. Thank you, Jonathan for your music and for your very being. “Mikado” was one of Jonathan’s favorite shows. He enjoyed performing it as a child and still laughed at the silly jokes. Jonathan would want everyone to come out to enjoy this. Jonathan was singing the entire libretto to his classes as he taught them the music!!! It is incredible when we know that our children have been touched by someone who loves music and dedicated so much of his talents to what he truly loved. We have never known him personally, but know of him and hear so many of the children speak of him. It makes us proud as parents when our children at this time look up to teachers who teach them, bring joy and music into our and into their lives. We are sure that he will be missed . Thanks for dedicating this to him and we will come and enjoy and embrace his work .